As easy to enjoy as it is hard to pronounce, the exotic Phalaenopsis orchid adds elegant beauty to any setting. Also known as the "moth orchid", because its blooms resemble graceful moths in flight, ours arrives in a striking planter for a touch of contemporary style. 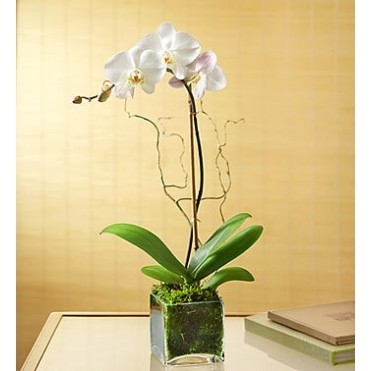 * Phalaenopsis orchid arrives fresh and beautiful, budding and ready to display gorgeous white blooms * Accented with green moss. Phalaenopsis orchids are often called "Moth orchids," because the shapes of their blooms resemble moths in flight. Get spirits soaring with our exotic and graceful mini Phalaenopsis orchid plant in regal shades of purple, paired with a charming planter. 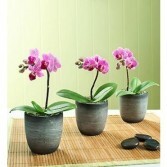 Gorgeous mini Phalaenopsis orchid plant arrives budding and ready to bloom in beautiful shades of purple. 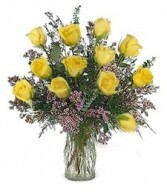 Beauty and fragrance abound in this arrangement of one-dozen delightful roses. 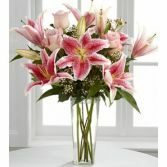 Nestled among soft, lush greenery, these felicitous flowers make for a memorable and heart-warming momento of your affection.